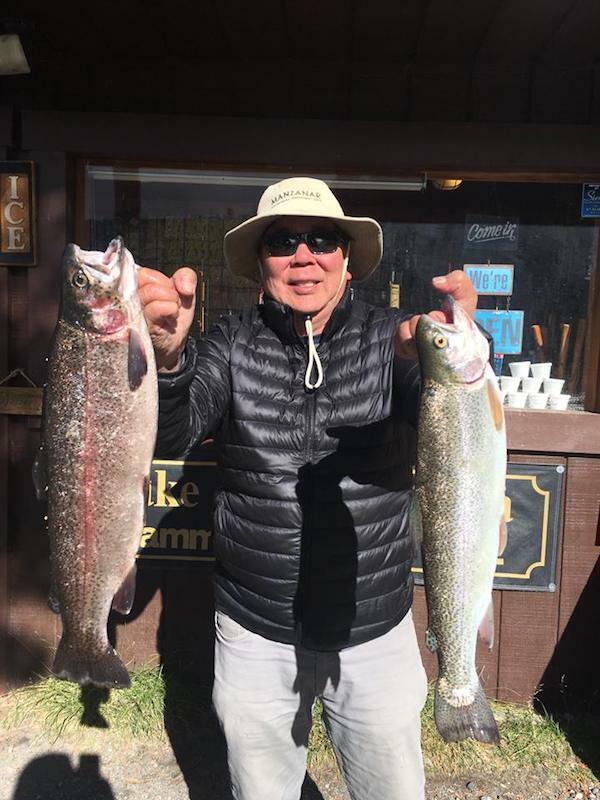 On Tuesday, our good friend Cory Shiozaki from Gardena, CA caught two beautiful Rainbow Trout, which weighed in at 5.75 and 3.5 lb. They were caught on inflated night crawlers. Great catch Cory! 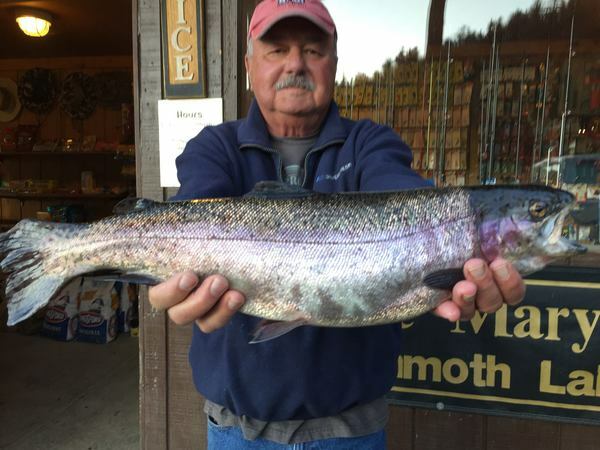 The staff at Lake Mary Marina is ready to help you with your fishing needs. 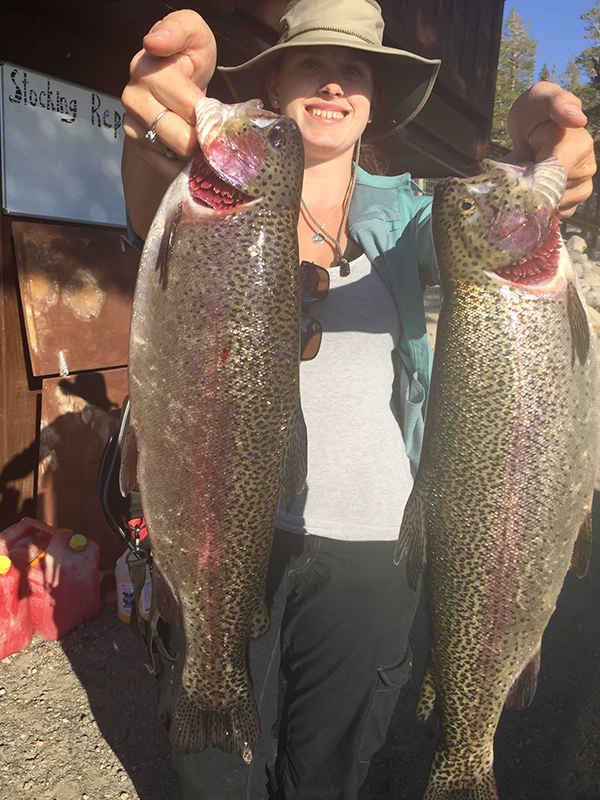 Call (760) 934-5353 to book a fishng boat or check out our website for more information. Lake Mary Marina is Open!